Easy London - Viver, Estudar e Trabalhar em Londres para portugueses: Fazer manicure enquanto bebe um cocktail ou uma limonada já é possível...em Londres, claro! Fazer manicure enquanto bebe um cocktail ou uma limonada já é possível...em Londres, claro! "The hot new place in London to go for instant beauty gratification! Enter the Cheeky Parlour and you’ll find a choice of affordable hair, nail and make up services so you'll look a knockout in an instant; a colourful collection of 21 nail paints to add a spark to any look; a range of 14 freshly scented products across body care, hair care and cosmetics to primp and preen from top to toe; and a selection of scrumptious food and drink to tantalise the taste buds. With 7 hair stations, 4 pedicure chairs, 3 make up chairs and 6 nail stations we've covered all the bases so you needn't fret, just walk right in and we'll have you ready for your night out or special event in no time at all. 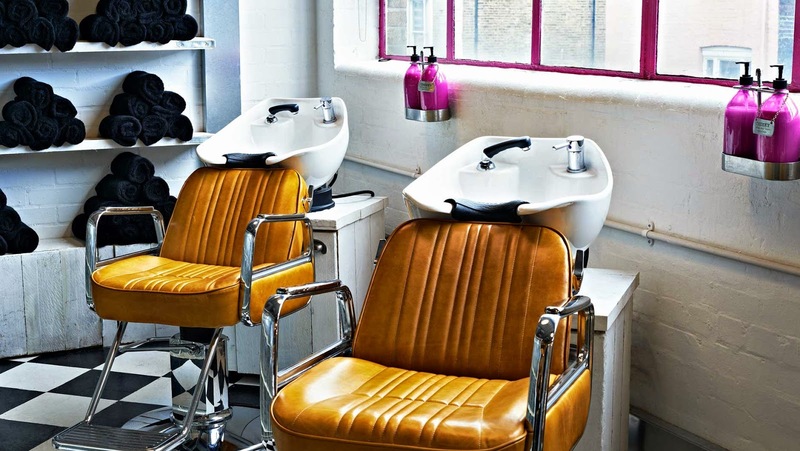 Our Cheeky Parlour is a creative new hangout in Shoreditch for the fashion forward looking for an instant beauty hair and nail fix. Online bookings are available and we will also keep a limited number of spots for walk in appointments so if you're in a rush and in need of quick fix you know where to go. So, if you want to stay one step ahead when it comes to style, head on over to our Cheeky Parlour with your friends, get fixed up and strike a pose!"